A press release from Rhondda Cynon Taff Council reports on a new campaign that they have launched to reduce recycling contamination in the borough. 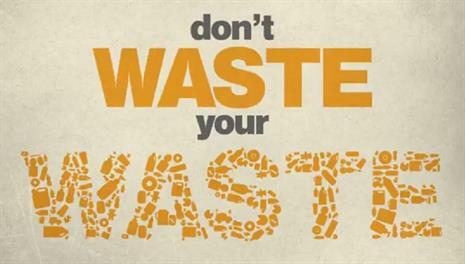 Titled ‘Don’t Waste your Waste’, the Council’s new initiative looks to increase their recycling performance further by targeting their message to residents to keep food waste away from recycling bags. Food waste and nappies have been cited as a particular problem by the local authority as it recognises that contaminated recycling is becoming an increasing problem for them. As part of the statement, Councillor Ann Crimmings, Rhondda Cynon Taf council’s cabinet member for environment and leisure, said: “Recycling rates are currently at their highest-ever level in Rhondda Cynon Taf, comparing favourably with other areas in Wales. We are currently above the Welsh Government’s target, but the figure will rise to 70% in the coming years so it is important progress is maintained”.